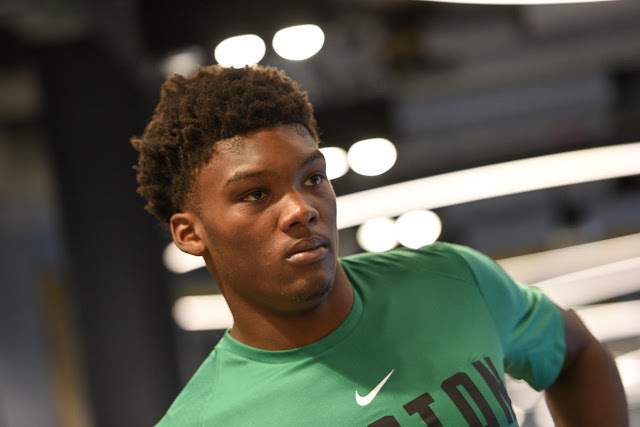 Rob Williams only played 10 minutes in the Celtics 115-112 win over Charlotte last night at TD Garden, but it was his overall play and unselfishness that got the fans attention and love. Rob notched five points on 2-of-2 from the field, while adding one rebound, one assist and one block. The assist and block were critical to the win. 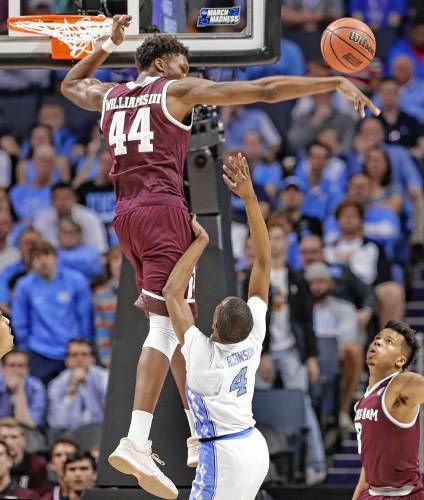 With the game on the line and 15 seconds left in the fourth quarter, Williams blocked a shot by Charlotte's Malik Monk and got the ball back with 10 seconds remaining. Those little things right there show you how well he fits in the mold of being a Boston Celtic,” said Kyrie Irving, who scored a team-high 20 points. “He makes the huge play and then passes to Guersch when he could’ve easily wind-milled or done something crazy for the crowd. But he passes to Guersch, we seal the game, and I know that felt good for him and for the rest of us. My readers know me very well. I am a dedicated we'll see guy. But I love what I see thus far from Rob. We have seen plenty of long, athletic players come and go after being lauded for their extreme potential. In a poll I did via Celtics Life, our readers made it clear that a rebounder/rim protector was what the Celtics needed in the draft. So now we have an athletic youngster that is listed at 6'9.5" with a 7'6" wingspan who can also cover the perimeter and pass the rock. And I almost forgot to mention that Rob was tied with Marcus Smart for team plus/minus last night with a +13. It is still very early, and we are still in pre-season mode, but I can't help being excited. Danny Ainge may have found the perfect draft pick who just kept slipping in the draft and happened to land in Boston's lap - just where he belongs.